Previous image, 11 total items. Next image, 11 total items. Even if you're the most impulsive traveler, it's still a wise idea to study up on a few basic things about Alamogordo before you take off. Find it on a map, figure out the sights on offer and let the fun begin! Alamogordo is located 75 miles (121 kilometers) north of El Paso, a significant city. Visitors to this part of Southeastern New Mexico will be sharing space with about 30,000 residents. Booking a hotel and airfare bundle deal via Travelocity is the best way to save loads on your Alamogordo adventure. On top of that, you can choose from more than 400 airline partners and 665,000 accommodation options. From airfares and accommodations to rental cars and activities, we can provide 24/7 personal assistance via our Customer 1st Guarantee. Have you seen a better deal? We'll match the price and give you back the difference^. You never know if an emergency will arise. However, when you book a package, we guarantee no hidden fees from us. And as long as you get in fast, most accommodations won't charge a fee either^. With a nice range of 11 properties available for booking on Travelocity, you can afford to be a little bit picky in Alamogordo. But remember — the sooner you reserve your room, the faster you can focus on planning those extraordinary experiences. When you've got a vacation to plan, who wants to waste time scouring the web for a place to stay? Don't stress, we've done the hard work for you already. 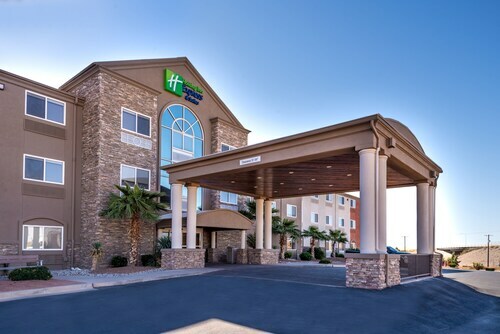 The Fairfield Inn & Suites Alamogordo and Holiday Inn Express Hotel & Suites Alamogordo Hwy 54/70 are a couple of our highly recommended properties here. Where do you fly into for Alamogordo? Get ready for some unforgettable new experiences! The heart of Alamogordo is approximately 5 miles (8 kilometers) northeast of White Sands Regional Airport (ALM). Can I rent a car in Alamogordo? Don't bother waiting around for the bus. Have a look at the car rental options via Travelocity and get the most out of your time in Alamogordo. After you've grabbed your luggage at White Sands Regional Airport, you'll be driving off into the sunset before you know it. Inquire into renting a vehicle from Enterprise, 5 miles (8 kilometers) from the terminal at 400 N White Sands Blvd. Theater can challenge our views and asks us to aspire to bigger and better things. Catch a show at Flickinger Center for Performing Arts and open your mind to another way of thinking. Like some more options? Toy Train Depot is just the ticket for train buffs. Browse its fantastic exhibits and see the storied history of the railroad industry come to life. And that's not all. Did of always dream of becoming an astronaut? Learn the mysterious truths about what humanity has called the final frontier at International Space Hall of Fame. If you've checked out the best of Alamogordo and have a day to spare, don't fret! Just 35 miles (56 kilometers) away is Ruidoso, and you definitely won't be bored here. The Hubbard Museum of the American West is a fantastic place to start understanding the story of the region. The Cree Medows Public Golf Course and the Links at Sierra Blanca are also well worth your time. Located 50 miles (80 kilometers) away, Carrizozo is one more neighboring destination. If you come here, make time to check out Valley of Fires Recreation Area, Gallery 408 and the Carrizozo Heritage Museum. Situated in Alamogordo, this motel is 2.3 mi (3.7 km) from Toy Train Depot and within 6 mi (10 km) of New Mexico State University Alamogordo and New Mexico Museum of Space History. International Space Hall of Fame is 4.9 mi (7.9 km) away. 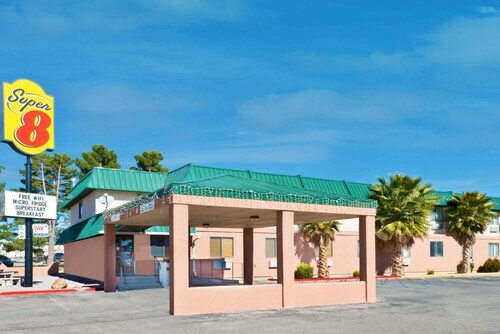 Situated in Alamogordo, this hotel is 2.9 mi (4.6 km) from Toy Train Depot and within 6 mi (10 km) of New Mexico State University Alamogordo and New Mexico Museum of Space History. International Space Hall of Fame and Oliver Lee Memorial State Park are also within 16 mi (25 km). Situated in Alamogordo, this motel is 2.7 mi (4.4 km) from Toy Train Depot and within 6 mi (10 km) of New Mexico State University Alamogordo and New Mexico Museum of Space History. International Space Hall of Fame is 5.1 mi (8.2 km) away. 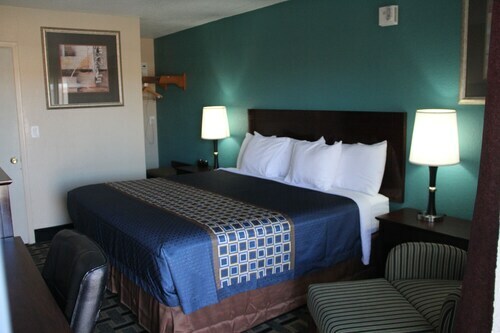 Situated in Alamogordo, this hotel is 1.1 mi (1.7 km) from Toy Train Depot and within 3 mi (5 km) of New Mexico State University Alamogordo and New Mexico Museum of Space History. International Space Hall of Fame is 3 mi (4.8 km) away. Situated in Alamogordo, this motel is 2.4 mi (3.8 km) from Toy Train Depot and within 6 mi (10 km) of New Mexico State University Alamogordo and New Mexico Museum of Space History. International Space Hall of Fame is 5 mi (8.1 km) away. 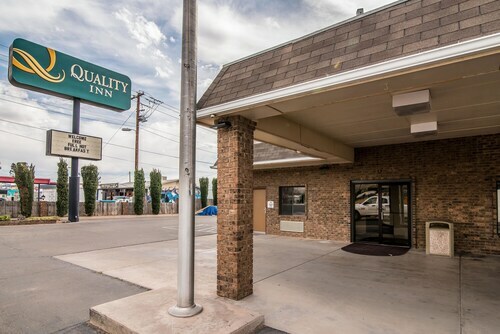 Located in the heart of Alamogordo, this hotel is 2.8 mi (4.5 km) from Toy Train Depot and within 6 mi (10 km) of New Mexico State University Alamogordo and New Mexico Museum of Space History. International Space Hall of Fame is 5.2 mi (8.4 km) away. Situated in Alamogordo, this motel is 0.4 mi (0.6 km) from Toy Train Depot and within 3 mi (5 km) of New Mexico State University Alamogordo and New Mexico Museum of Space History. International Space Hall of Fame is 2.9 mi (4.6 km) away. Situated in Alamogordo, this hotel is 2.4 mi (3.8 km) from Toy Train Depot and within 6 mi (10 km) of New Mexico State University Alamogordo and New Mexico Museum of Space History. International Space Hall of Fame is 5 mi (8 km) away.